Want to travel to Cuba? Now is the time! At the end of the month, JetBlue will make history with the first non-charter direct commercial flights from the US to Cuba in almost 50 years. 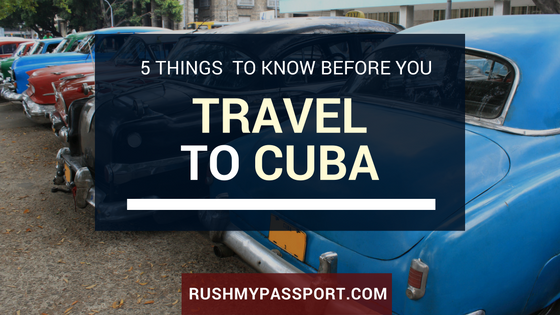 But before you go, here are 5 things you need to know about Cuba’s passport requirements, Cuban travel visas and how to travel to Cuba legally as an American citizen. Yesterday, President Obama announced a slight thaw in the strained relationship between Cuba and the United States. For the first time in decades, Cuban-Americans with family in Cuba will be allowed to go back and visit as often as they like.